Vanilla is one of the most popular spices in the world, particularly for those who enjoy baking. 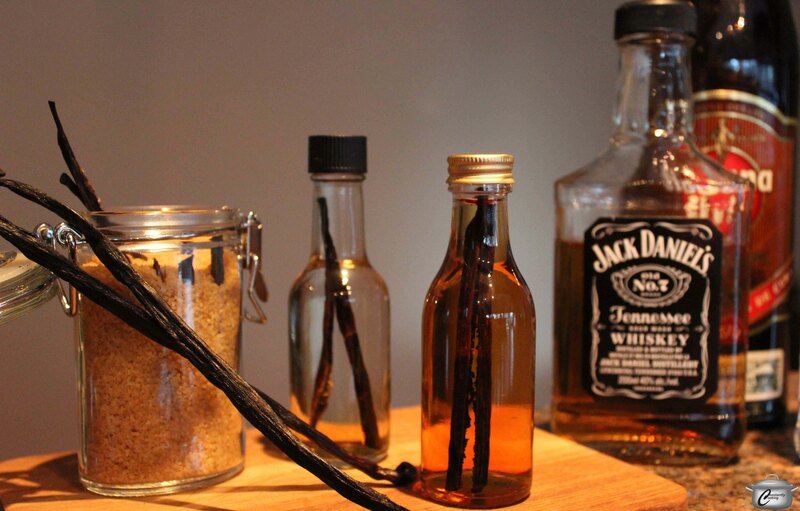 There’s a huge difference between the flavour of artificial vanilla extract most often sold in grocery stores and the real thing, made with vanilla beans and alcohol. Similarly, vanilla sugar has a lovely, subtle aroma and flavour that is ideal for custards, whipped cream and so much more. Since these items need a few weeks to ‘steep’, don’t leave your preparation until the last minute. Either of these – or a set of both sugar and extract – would be much-appreciated holiday gifts for anyone who likes to cook or eat. It’s easy to transform vanilla beans into a variety of delicious gifts. Slice the vanilla beans lengthwise and then pry them open so the seeds inside are exposed. With the tip of a spoon, scrape the seeds out of the beans and add them to a clean glass jar with a tight fitting lid. Put the scraped bean pods in the jar (cutting to fit, if necessary) and top with the alcohol. If making a larger batch, you can add the scraped seeds and beans directly to the bottle of alcohol. Let sit for 2 – 4 weeks, shaking every few days. You will notice the alcohol getting darker as it takes on the vanilla flavour. Remove the pods and strain the liquid through several layers of cheesecloth, then pour into smaller bottles for gifting. Measure the sugar and pour it into an airtight container (a clean, dry glass jar works well). Slice the vanilla bean lengthwise and then pry it open so the seeds inside are exposed. With the tip of a spoon, scrape the seeds out of the bean and add them to the sugar. Stir to combine well. Add the scraped bean pod (cut it into 2 – 3 pieces if need be to make it fit) to the sugar mixture. Cover tightly and let sit for 2 – 3 weeks, shaking occasionally. Remove the bean pod and transfer the sugar into smaller, airtight containers for gift giving. Use the vanilla sugar in place of plain sugar in your favourite recipes. This entry was posted in Tips and Tricks and tagged Christmas, edible gifts, extract, gifts, gifts from the kitchen, holidays, sugar, vanilla, vanilla bean, vegan, vegetarian. Bookmark the permalink.